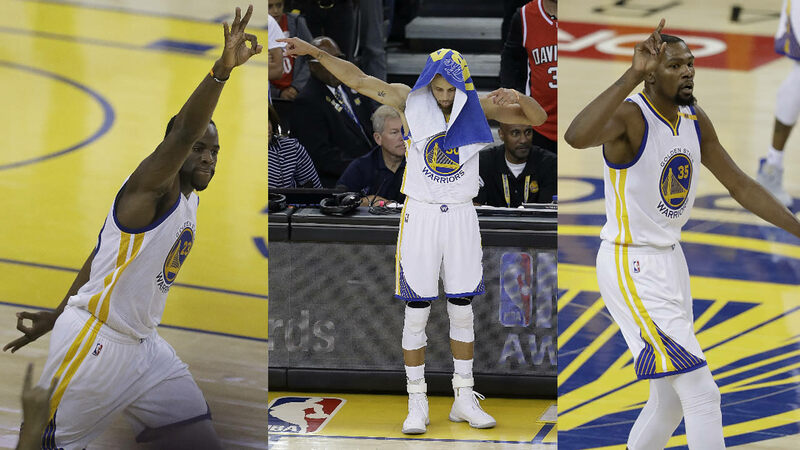 OAKLAND, Calif. -- Kevin Durant scored 39 points, Stephen Curry added 34 and the Golden State Warriors won their second NBA championship in three seasons with a 129-120 victory over the Cleveland Cavaliers in Game 5 of the Finals on Monday night. Kevin Durant has been named NBA Finals MVP. While the Warriors didn't surpass their NBA record of 73 regular-season from 2016 (they settled for 67 this year), they still had the NBA's best regular-season record. Golden State went 16-1 in this year's playoffs, good for the highest winning percentage (.941) in a single postseason, surpassing the Los Angeles Lakers from 2001 (15-1, .938). The Warriors also did much of this without their head coach, Steve Kerr, on the sideline for an extended period of this postseason. Kerr coached the first two games of Golden State's first-round playoff series against the Portland Trail Blazers in April but stepped away because he was experiencing complications from back surgery from two years ago. Monday's loss denied the Cavaliers a chance to repeat as champions and for LeBron James to get his fourth championship ring. It was his seventh consecutive trip to the NBA Finals, the only non-Boston Celtic to do so. It also kept the Cavaliers from becoming the first team in NBA history to come back from trailing 3-0 to win a best-of-seven series.